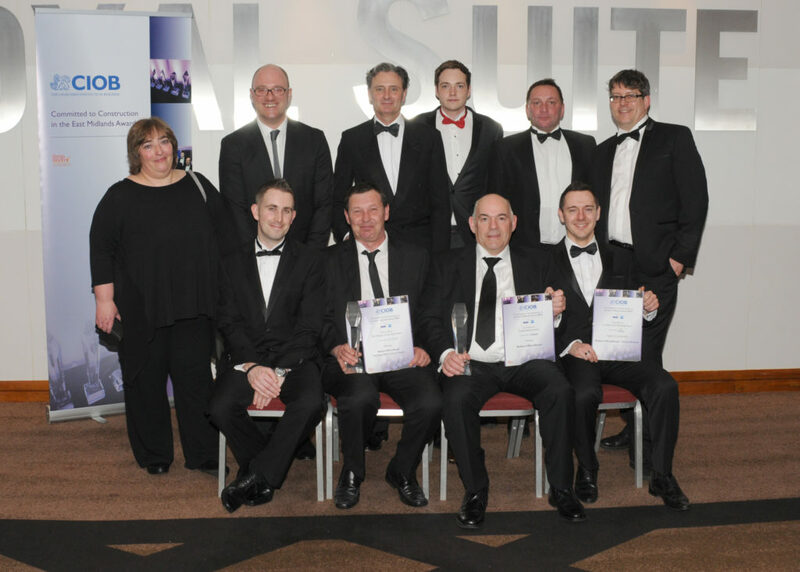 Robert Woodhead Limited were double winners at the CIOB Committed to Construction in the East Midlands Awards on Friday night at the Crowne Plaza Hotel, Nottingham. Robert Woodhead Limited, Lincolnshire County Council and Arrol and Snell have won the Committed to Construction in the East Midlands Award for the Project of The Year. The Heritage Skills Centre was given the industry accolade as recognition for an outstanding project which demonstrated all round excellence in construction, including, quality of design, an exemplary Health and Safety record, the innovative approach to waste management which resulted in 0% of waste going to landfill and multiple added value initiatives over the course of the project. They were also Winners in the Committed to Sustainability category for the Cross Street Eco Town Development in partnership with Longhurst and Havelok Homes, West Lindsey District Council, Allan Joyce Architects and Richard Julian Associates. The Cross Street project was also highly commended in the Committed to Collaborative Working Category which recognised the passion showed by all partners to deliver the Code for Sustainable Homes Level 5 Scheme above and beyond required levels of sustainability. Glenn Slater, Business Development Director at Robert Woodhead Ltd commented, “We are delighted that the work we have carried out together with Longhurst & Havelock Homes on the Cross Street Eco Town Development and The Heritage Skills Centre with Lincolnshire County Council have both been recognised with these awards. It is clear that we could not have achieved the results without the dedication of the whole project team. SCAPE and the East Midlands Property Alliance’s Commitment to Training and Development which included Robert Woodhead Limited was highly commended by the judges to round off an exceptional night.